Fourth graders from Treetops School International Charter School traveled to Austin on an Education in Action Discover Texas Field Trip April 4, 2019 to experience what they are learning in fourth grade Texas History. Students visited the Texas State Capitol and the Bullock Texas State History Museum. 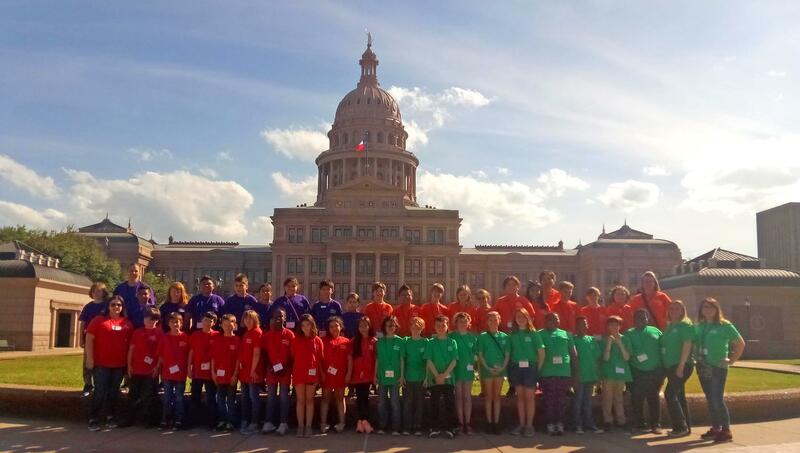 During the charter bus ride to Austin, students discussed why Texans are so proud of their unique heritage and participated in activities and games in preparation for their visit. In Austin the students visited the Texas State Capitol where their legislators, The Honorable Kelly Hancock, State Senator, District 9 and The Honorable Jonathan Stickland, State Representative, District 92, have their office. Students saw first-hand where Texas laws are made as they toured the State Capitol including the Senate and House of Representatives chambers. At the Bullock Texas State History Museum students explored exhibits about Texas’s earliest inhabitants, the Texas Revolution, and events that created our Lone Star identity. The students’ visit to the museum concluded at the multi-sensory Texas Spirit Theater with the Star of Destiny where they saw and experienced the history of our great state including a gusher exploding from an East Texas oil derrick and the takeoff of Saturn V as seen from Mission Control at the Lyndon B. Johnson Space Center in Houston. We have a new feature with our website called NotifyMe. NotifyMe allows us to get important information out to you via emails. Select the Groups you wish to receive information about. Recommended - District Info and School Closings. Izzy won her first buckle at "Ellis County New Years Bash" goat show. 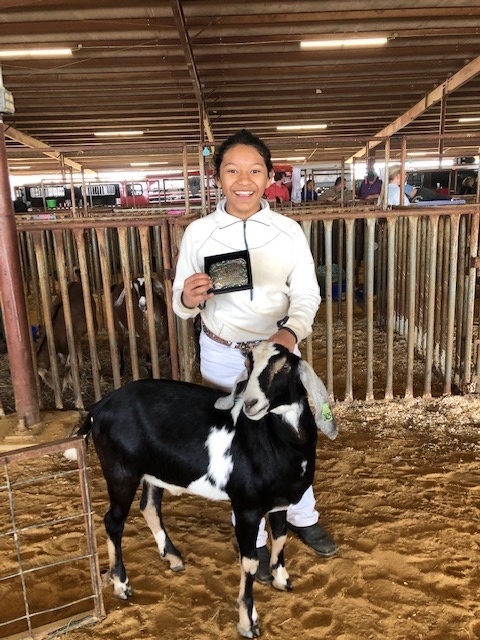 She won grand reserve dairy wether goat. Way to go Izzy! We are proud of you! Thank You for a successful Fundraising Night! Thank You to all who came out to Texas Roadhouse!!! 2019-2020 Swim Team tryouts for 5th thru 12th grades, TBD. *Must already be a member of a swim team or have previous swim experience. *Students must be proficient in swimming. NOTE: The pool is located directly across from the tennis courts, inside the PE/Physical Education building. To access the pool, you must go through the locker rooms. Voted Top in Forth Worth Non Profits!